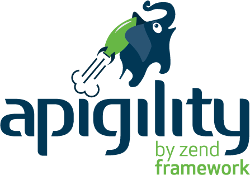 Support is on the forum and the ZendFramework Slack channel "#apigility". Development discussions occur on the forum and the ZendFramework Slack channel "#apigility-contrib". Issues may be reported at the appropriate repositories under the github organization zfcampus. Patches may be submitted via github to the appropriate repositories under zfcampus. You can reach Apigility on Twitter by following the @Apigility account.